Red I.T. provides an end-to-end network management service, including network connectivity, proactive monitoring and management of your computer, servers and equipment as well as provide 24/7 support. We deploy, manage and maintain voice, data, cloud, security infrastructure, equipment, applications and systems; while monitoring, reporting, and proactively administering network and applications updates. Our fully managed and secure end-to-end network infrastructure and services empower your business to increase productivity and cost efficiencies. Red I.T. customized packages provide monitoring, reporting, and proactively administration of your network and applications updates. 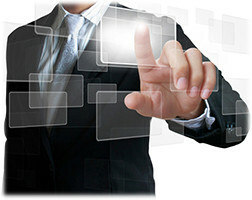 Additional services can allow our company to fully manage and secure your company’s infrastructure. Below is a list of our most common packages. Any of them can be customize to fit your needs. Click to Download More info!